1 Rugged Book keyboard and case, 1 micro USB to USB charging cable, and an owner's manual. A unique magnetic hinge converts your Rugged Book into convenient Keyboard, Video, Case, and Book modes. Rugged Book Case with Backlit Keyboard for the Apple 9.7-inch iPad Pro/Air 2 (English US) is rated 4.1 out of 5 by 106. Rated 5 out of 5 by Dougie Fresh from Great features. Bought this a month ago and I am extremely satisfied with the ZAGG. The backlit keyboard works great and makes typing very easy. Rated 5 out of 5 by prettyinpynk from Durable and versatile I love this case for my IPAD Air 2. Its durable and versatile. I love being able to type emails with the keyboard or remove the keyboard and use the IPAD by it's self. Rated 5 out of 5 by beautypro from Definitely Rugged After having 2 other cases for my iPad that did not hold up, the Zagg rep I spoke to recommended this one. Right off the bat, I love it! Easy to work with/on and doesn't feel fragile. Rated 5 out of 5 by jackantic from Great Product This iPad case/keyboard solved an old problem of protection, compactness and usefulness. Now I don't have to spend $1200-1500 on a 12" MacBook. Rated 5 out of 5 by Tripleee from Great keyboard and cover I bought this a month ago and it is very functional and protects my ipad. I love it. Rated 5 out of 5 by seniordrh from Awesome Keyboard and CAse This is undoubtedly the best case & keyboard my iPad has ever had. It is durable, solid, and has many great features like backlit keyboard and multiple ways to attache the keyboard and the iPad for different uses. Rated 5 out of 5 by Aleksei from Still in love Almost 3 years ago, I finally gave in and got an iPad Air2 even though I hate typing on a virtual keyboard, and was concerned about the inevitable drop test. I got a Zagg Rugged backlit keyboard/case and fell in love. Did I mention hating typing on virtual keyboards? (could it be the fat fingers and thumbs?) With the iPad linked to my iPhone, I can type emails, text messages, etc, on a compact but very usable and ergonomic full keyboard. Drop tested and passed For almost 3 years this blissful state continued until the keyboard battery inexplicably stopped holding a charge, previously would last 6 months or more, which is amazing. Zagg's customer service promptly replaced the rugged case/keyboard and the affair continues. A friend had been so enamoured of this setup, she got one for herself and is also in love, and now I feel good having recommended it knowing that Zagg stands behind their products. Rated 5 out of 5 by Crash420 from Really nice case Incredible customer support. I am so happy with ZAGG! Rated 5 out of 5 by KellyBur from Loved it to so much I bought a second for my husba My husband and I use our individual IPAD air 2's as laptops. I bought him a zagg case a few years ago. Whenever they went on sale after that time I was always too late and they were sold out! Finally snagged one on sale...for $70 the rugged book is a STEAL! My husband's is still working and charging as well as on day one! Rated 5 out of 5 by IndyR from Great Product! The Rugged Book is very durable and well made. I'm very happy with this product. Rated 5 out of 5 by bethany16 from Great Product and Customer Support! I bought this product about a month ago, and the keyboard stopped working properly. I got it replaced with excellent customer service and it got here very quickly. Love this case! Rated 5 out of 5 by LazyKy from Book Case I have only had my case for a few weeks but so far really like it. It is rugged and a bit heavy but works well. Rated 5 out of 5 by Laceunderfire from Great features Easy to use. Works great and love there different colors of the lights on the keyboard. Rated 5 out of 5 by Johnnybgood1 from solid performance This is my third one, I wore out two already! I use it or abuse it every day. It's protected my ipad air 2 from many falls. Keyboard works flawlessly every time, I think I only charged it twice. The left hinge has failed twice now, but just from extensive use. Buy one, you won't be disappointed! Rated 5 out of 5 by SIMpro from Great Case A very rugged case! Keyboard is very responsive and it was very easy to hookup to my IPad. .. Rated 5 out of 5 by Sue 48 from Great keyboard I just bought this a week ago. It’s very strong and protects my IPad. Works great. Rated 5 out of 5 by Tx lady from Good solid protection from drops etc. I first had a slim book case /keyboard which is little lighter weight . I really liked that but when I recently dropped tablet & it hit an end table corner... case & tablet were fine .. also due to the Zagg glass I had on screen. Zagg glass cracked & with lifetime replacement they already sent replacement. Sooo I saw new rugged case w backlit keyboard on sale here & got that one . Actually think I like it better as its weight makes it sit up steadier when on your lap typing .  Love Zagg products & service !! Rated 5 out of 5 by BeeMan from Seems to live up to the Rugged Book name. Replaced two previous Slim bOOks with the Rugged Book. Both previous Slim Books failed at the hinge attachment. Hoping the Rugged Book lasts longer. Rated 5 out of 5 by Blankitaa17 from Great Features! I purchased it a few weeks ago and could not be any more grateful to the Zagg guy who recommended it to me! I love it, handy and amazing overall. Rated 5 out of 5 by dee bee from Love the Zagg Rugged Book Case The case is so sturdy and protects my iPad Air 2 so well!!!! Rated 5 out of 5 by Cinni from Great customer service This Rugged Book Case is a replacement for a defective case. The Zagg rep faciliitated my return efficiently and had a new case shipped promptly. Love the product and appreciate the great customer service. Rated 5 out of 5 by dlst from Outstanding Customer Service The bluetooth connection for my Rugged Book Pro did not connect. Called Customer Service and they sent out a new replacement immediately. Rated 5 out of 5 by servant5866 from Great Experience (Again) with ZAGG Was treated with speed and courtesy. Effort was made to rectify the problem but when it proved it could not be the ZAGG rep. gave me al the necessary info. to have a replacement sent out. Rated 5 out of 5 by Kathij from I am happy I bought it however I have lost a key off it and need to get it replaced. It would be thequotation and apogtrophe key. Could you get it for me. There wasn't a Users Manual in my Zagg Box. &nbsp;Is there on on line? Or can you mail one to me. &nbsp;There was just the Quick Start booklet. Will this case fit the new (2018) 9.7 inch standard iPad (NOT the Pro)? &nbsp;I've found conflicting information online. Will the keyboard also be released with Nordic letter? Yes, but its not available yet, stay tuned! Will this case fit a 6th generation 9.7 Not the 9.7 pro? Does this case fit the iPad A10, 9.7&quot;? This says it is for the iPad 9.7 inch iPad Pro. &nbsp;Is it really or is it just an iPad Air case that's been renamed? &nbsp;Does it block the speakers? &nbsp;Will it sleep a baby Pro? &nbsp;Because an iPad Air case will fit but won't be fully functional. This is not the same as the iPad Air/Air 2 keyboard cases. We've made the new Pro Rugged Book specific to the device. Can I use a tempered glass screen protector with this case? Yes, our InvisibleShields fit nicely with all of the keyboards. Hello! This keyboard is compatible with the iPad 9.7 of 2017? (not pro), model A1822. Thanks!! This case doesn't have a spot for the Apple pencil, sorry! I purchased Zagg rugged messenger for my Apple model A1823. I am not happy with product due to the fact the case is no supported very well on a flat service. The last Zagg I had came with a hinged case. Is there one available for this model? If you are looking for a case for you iPad 9.7 with hinges, we suggest checking out the Folio. The hinge on the Folio case is flexible enough to give you 180&deg; of viewing angles and strong enough to hold your device securely at your chosen angle for as long you need.To browse this product, head to: https://www.zagg.com/us/en_us/keyboards/folio-apple-ipad-9-7. I have a Rugged Book for my previous generation iPad Air, now that I've upgraded to 9.7&quot; Pro I'd like to just get the Rugged Book cover without having to buy another keyboard, is this possible? And the third question, due to question length limits: &nbsp;(3) I understand that the Zagg keyboard still connects via bluetooth. &nbsp;But does the Zagg case cover up the 9.7&quot; iPad Pro smart connector? Yes, it does cover up the smart connector because we utilize the Bluetooth connection. Two questions: 1. Does the rugged book work with Apple onscreen shortcut bar and keyboard shortcuts? &nbsp;2. Does rugged book have openings for all four speakers? Yes, it does have openings for all 4 speakers! &nbsp;As for the first part of your question...I'm not exactly sure I know what you mean by &quot;Apple onscreen shortcuts&quot;??? &nbsp;I do know however, that the &quot;shortcut bar&quot; on the ZAGG keyboard works great! &nbsp;If you don't mind, I would like to know more about these &quot;Apple shortcuts&quot; you're talking about(as I am somewhat 'NEW' to Apple products and their iOS), so would you mind letting me know with either posting another message as an &quot;answer&quot; to your own question. &nbsp;Or by taking off the last two seventy five's from my nickname &amp; message 9oo9le mail? I'd greatly appreciate it Josh. Any idea when this will be available for the Pro 9.7&quot;? We expect the Rugged Book to be ready by mid-May at the latest. Stay tuned! Can the battery be recharged for the keyboard? Yes. The Rugged Book comes with a charging cable you can use to charge your keyboard quickly and conveniently. When will this be available for iPad pro9.7? How does the rugged iPad Air 2, differ from the iPad Pro 9.7? Air 2 it fits the Pro iPad9.7. Only problems, the new speakers and keyboard connector. So need to know if these problems are fixed? How do i turn on the backlit keys? Press the FN Key, and then the bottom arrow on the four directional arrow pad. This will allow you to cycle through backlight brightness. Anna J &middot; 22 days ago We expect the Rugged Book to be ready by mid-May at the latest. |Stay tuned! It's mid-May! Any idea when the Rugged Book for the iPad Pro 9.7&quot; will be available? There are three ways to check your Rugged Book Pro&rsquo;s remaining battery power. First, you can open your iPad&rsquo;s widgets and see it displayed as a percentage there. Second, you can download the mophie&reg; Power app from your favorite app store. The mophie app will walk you through installation and how to use the app to check your battery life. Third, you can press fn + the battery key. This will cause the LED indicator to flash one of the following three ways: 1. Three flashes = full battery life. 2. Two flashes = approximately half battery. 3. One flash = low battery. When your Rugged Book Pro reaches critical battery level, the LED will flash once every five minutes. Some of my keys are not working. Have the Rugged Book Pro. Hmm. We'd be happy to look into this for you. Please give us a call at 800-700-9244, so that we can discuss a solution with you. which is better &quot;rugged book&quot; or &quot;rugged book pro&quot;. i am confused as both cost the same $$ value. Does this case provide a convenient place to stroke the Apple Pencil? No. This case is not compatible with the iPad 9.7&quot; (6th Generation). Does this case use bluetooth or the smart connector? All of the ZAGG keyboards run off Bluetooth connection and are charged using micro-USB cable. How do I replace a battery in the keyboard?